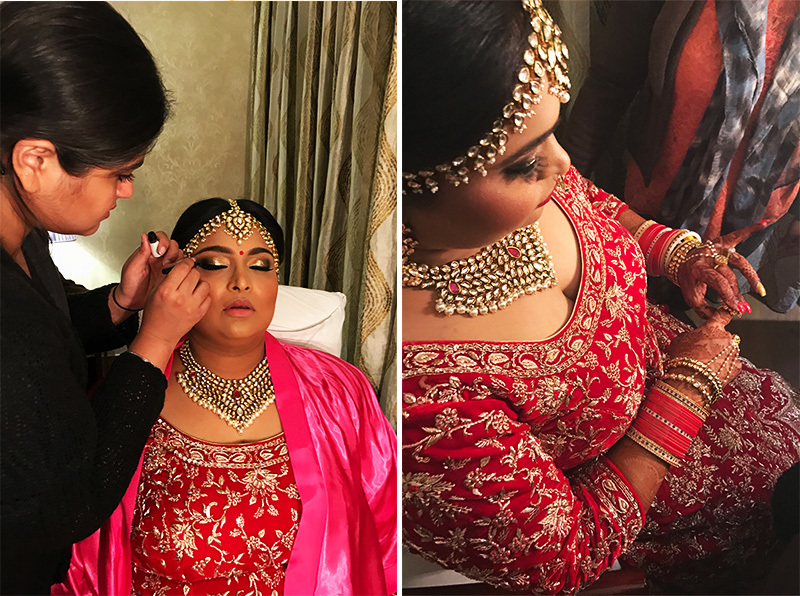 The aunt of the bride-to-be, Dibyaa Verma, let us in on all her bridal beauty secrets for Hindu Weddings. You may have read about the Pre-Wedding Day beauty rituals here, and now it’s finally time for beauty on the big day. Every part of the wedding beauty ritual is vital, from eyeliner down to the toe ring. This is called the Solah Shringar: the 16 pieces of jewelry and makeup that are believed to protect from negative energy and enhance goddess-like beauty. 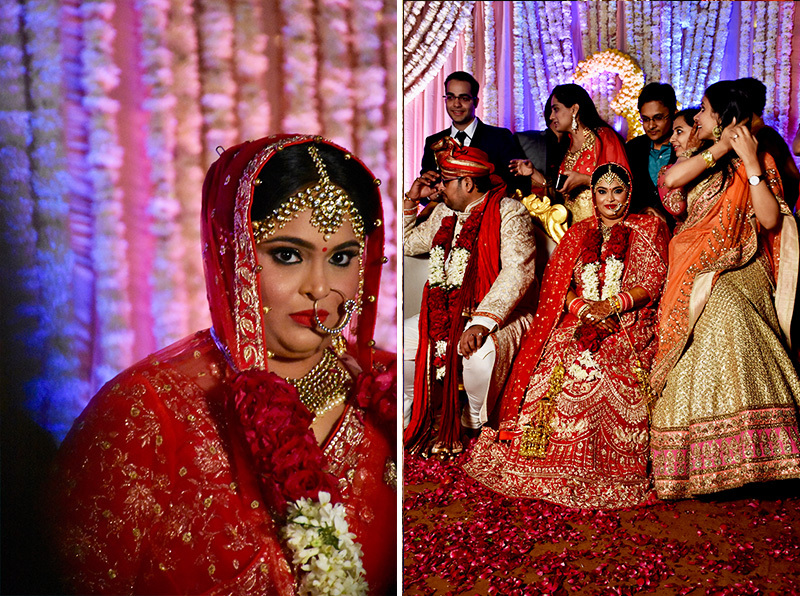 However, the bride doesn’t have to wear all 16 pieces, it depends on her family’s rituals. Maang tikka – This gorgeous tiara-like headpiece hangs over the bride’s mind and intellect, adorning her forehead with jewels. 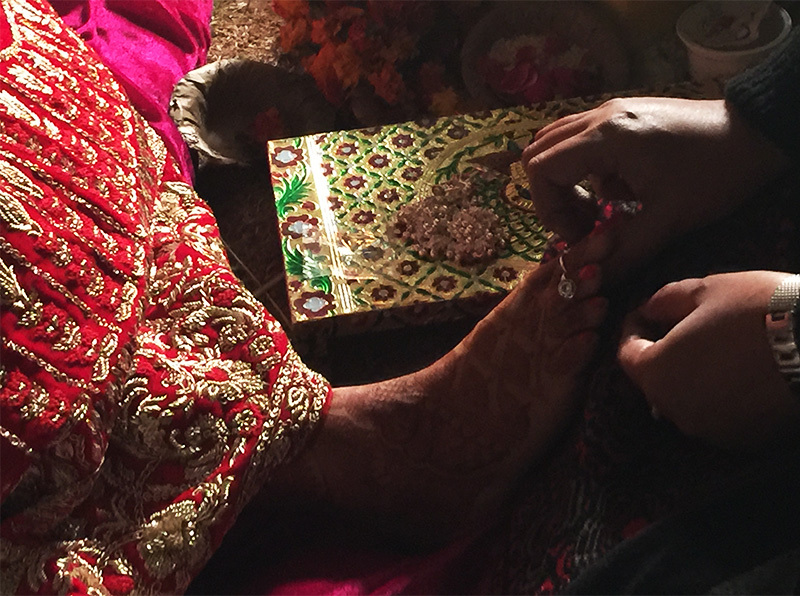 Bindhi – At the last ceremony of the wedding, the bride and groom take 7 rounds around the fire, and he places a bindhi on her forehead where her Third Eye is, to balance the energy and reflect that the bride is now a married woman. Kajal – Kajal eyeliner is the blackest, darkest natural eyeliner that is worn heavily around the eyes to create a dramatic, goddess-like beauty. Mangal Sutra – This is a black and gold beaded necklace given to the bride at the ceremony to be worn every day after the wedding. Bangles – Sometimes called Choodiyan, bangles are the most traditional staple of Indian wedding jewelry, no matter the color. 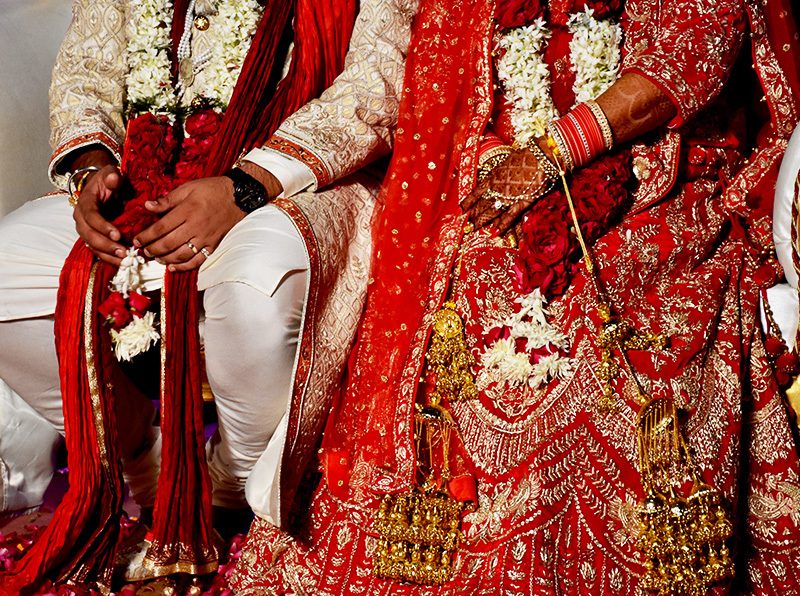 Since our bride was marrying a Panjabi groom, they had a Choodah ceremony, where the uncles of the bride give her red and white bangles hidden by a handkerchief, that are later revealed. The bride wears these bangles long after the wedding is over. Baajuband – These decorative armbands are worn up near the shoulder and they are thought to ward off evil spirits. Anklets – Sometimes called Payal, two silver anklets are worn, usually with tiny bells. Never gold! Toe Ring – The Bichus, or toe rings, are worn on the second toe (a known pressure point) as a symbol of a married woman, and these rings connect to the anklets. Just by looking at our gorgeous Hindu Bride, we can tell that these adornments truly create a goddess-like beauty from inside and out. Special Thank You to Anushree Agarwal and letting us be part of her magical wedding. I’m so in love with Hindu ceremonies. I was able to participate in a mixed religion wedding where my dominican catholic girlfriend married her hindu guyanese partner of years. During the Hindu ceremony, the catholic churchgoers were invited to sing their songs to the beat of Hindu drumming. Such a beautiful experience! Loved this article! 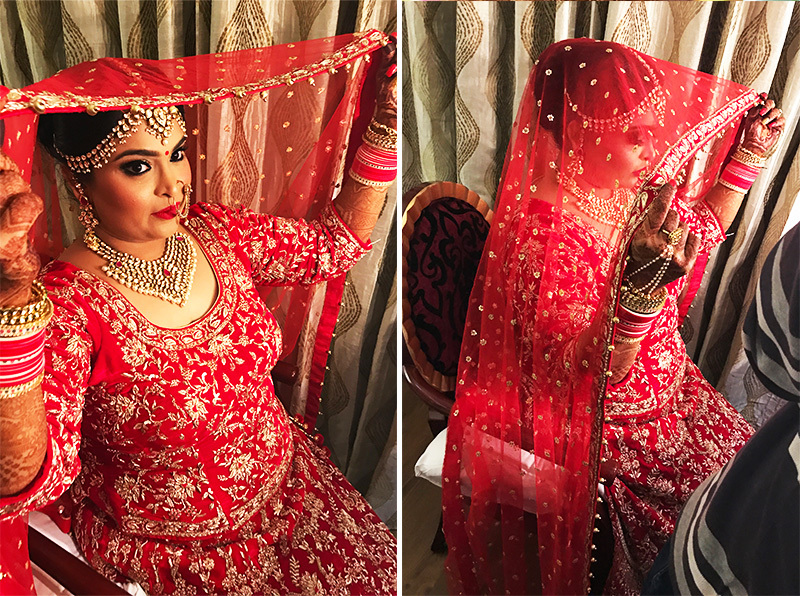 I feel fascinated about indian bridal dress, makeup, styling… so much I did years ago a makeup and photoshoot inspired on India and also using red attire… absolutely beautiful. I never investigated the exact meaning of it symbols, but know that i read this article I can learn what exactly means each of one 🙂 Awesome!